WP1 sets out the 'ethics requirements' that the project must comply with. WP2 will ensure the proper project management and IPR issues for ICARUS. 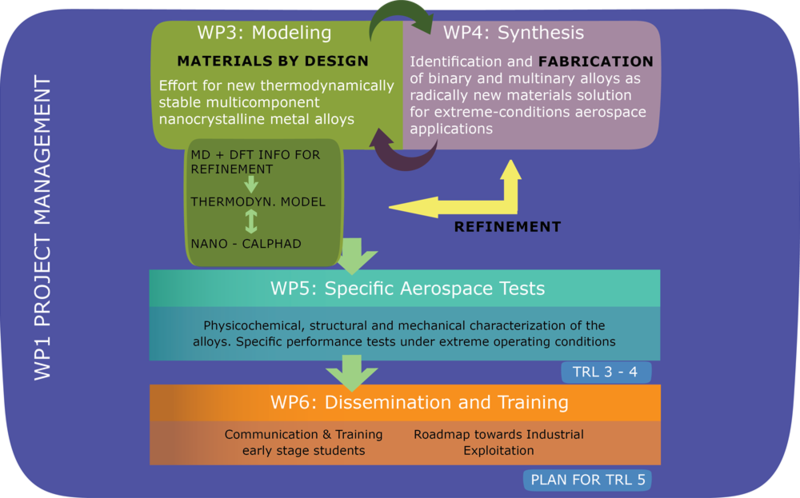 WP3 will implement a reliable theoretical methodology based on a multidisciplinary approach integrating theoretical thermodynamics, Nano-Calphad method, and multiscale modelling data, to create a predictive tool for exploring and designing of new binary and multinary nc alloys with enhanced thermal, mechanical and irradiation damage self-healing properties. WP3 will run in synergy and continuous feedback with WP4 to fabricate binary and multinary alloys radically new in concept and with tailored composition and properties. WP4 after selecting the most promising thermodynamically stable nc alloys potentially exhibiting superior mechanical, shielding and self-healing properties to meet the challenge associated to aerospace, aeronautical industrial needs, will define the best synthesis methodology ensuring quality homogeneity, future standardization and future scale up of the production in the proper suitable way for the target applications. WP5 has a two-fold aim, to provide a full characterization of the physical, chemical and mechanical properties of the new alloys specimens arising from the exploration (WP2) and subsequent synthesis/production (WP3) and to carry out specific tests in the selected specimens to demonstrate the advantages of ICARUS families of nc alloys when operating at harsh conditions. 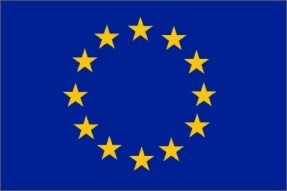 In WP6 expert brokers from ESA and aerospace industry will take care of the proper dissemination and management of scientific and technological results, paying attention to plan, for these materials, a future EU industrial roadmap beyond the TRL3-4 that ICARUS will achieve.